Hey! It’s an E. Lockhart book I’ve never blogged about before! P.S. I only have one more application to submit/pay for, then all’s left is a buncha envelopes and a trip to the post office and I am D-O-N-E-DONE! Anyway. This here book was something that helped me procrastinate my grad apps. This is like, the third year that I’ve tried to “study” YA books and try to figure out how they get written, how stories are told, et cetera et cetera. So I read, and I took notes. I wrote down little things I noticed about the storytelling technique, the pacing, the dialogue. And although I was looking for more specific, Do-This-To-Get-This-Effect kind of ideas, I found myself jotting down a lot of tidbits about the characters and how their relationships developed. That’s really what stories are all about, right? First of all, Dramarama is a great deal of FUN to read, especially if you are a musical theater junkie. I wouldn’t consider myself one… although I’ve had my moments (okay, had my YEARS) of theater madness, I have recovered. That being said, I still found this book to be FUN STUFF, full of stressful auditions, crazy directors, and songs both invented and of the show-tune variety. The Plot: Sarah Paulson is too big for Brenton, Ohio. But expressing her Bigness around the white bread, the-blonder-the-better classmates never seems to get her anywhere, so she reigns herself in. Except at dance class, where she chances upon a flier that changes her world. At her audition for Wildewood’s Summer Theater Program, she meets Demi, a ballsy baritone who hides behind his straight-boy drag at school. Around Demi, Sarah can be as big as she wants to be. In fact, she’s so big, she needs a new name. When they waltz onto Wildewood’s campus together, they are Demi and Sadye – best friends, ready to be stars. Demi slides into the theater life effortlessly, landing roles and boyfriends with equal success and vigor. But the world might not be ready for Sadye, nor Sadye ready for the challenges and injustices that pave the road to Broadway. So this book is chockfull of theater references, lines from certain songs, and other delightful musical theater goodness. But I really don’t think that a non-theater person should run screaming. 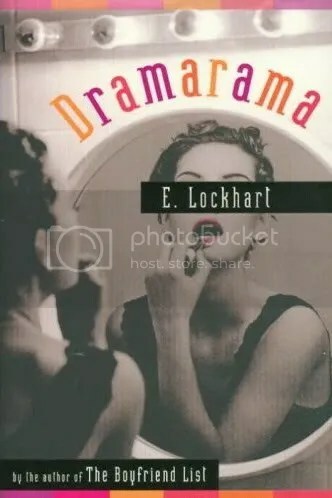 E. Lockhart – what a genius! – keeps the story in the eyes of Sadye who is a theater outsider as well. She might love showtunes, but when it comes to politics and practices, Sadye is in the dark. And its her New Kid In School insecurity that gets her into trouble, time and time again. This is ultimately a solid Girl In A Pickle type young adult novel that touches on all sorts of hot issues. 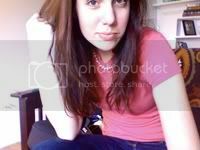 Am I good enough? Am I in love with my gay best friend? Am I racist because I’m trying not to be racist? Am I supposed to sit here while my director humiliates me, day after day? And Sadye is a fine narrator of her experience. Read, and you won’t be disappointed. Also, you may find yourself watching this song and that song on YouTube. For weeks. Oh, and bonus fun for diehard fans!